NEW DELHI, SEPT 01: With the Government’s new norms for mobile towers coming into effect from Saturday, India will be among the few countries in the world to have stringent Electromagnetic Frequency (EMF) Radiation Standards, established in the interest of public health. New Delhi, Aug 31 — Stringent new radiation norms for mobile phone towers and mobile handsets will come into effect Sep 1 across the country, the government announced Friday, keeping in view their possible adverse impact on human health. “”We have to be careful as a nation. Technology must be embraced but ultimately public health should not be compromised,”” Communications Minister Kapil Sibal told reporters here, unveiling the norms. Under the electromagnetic frequency(EMF) radiation standards, all handsets will have to display their exposure limit on the handset like IMEI (International Mobile Equipment Identity) number display. A penalty of Rs.5 lakh will be liable to be levied per tower per service provider for non-compliance of EMF standards. The new EMF limit will be one tenth the existing exposure limit for all mobile phone towers across the country. “”Indian standards would now be 10 times more stringent than more than 90 percent countries in the world,”” the communications ministry said in a statement. The norms also say that mobile handsets shall comply with the Specific Absorption Rate (SAR) values of 1.6 W/kg averaged over 1 gram of human tissue. Earlier it was 2W/kg over 10 gram of human tissue. All cellphone handsets sold in the market in India shall be available in hands-free mode. 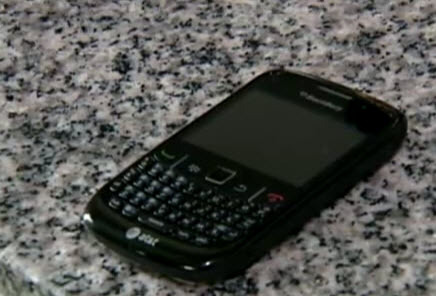 Existing handsets which do not comply with these norms will co-exist only up to Aug 31, 2013. 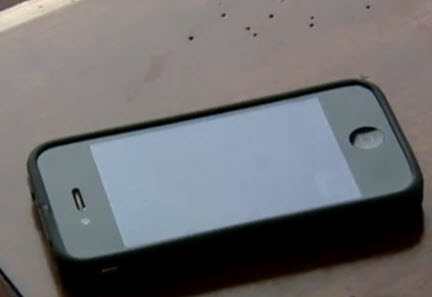 From Sep 1, 2012 only the mobile handsets with revised SAR value would be permitted to be manufactured or imported in India. 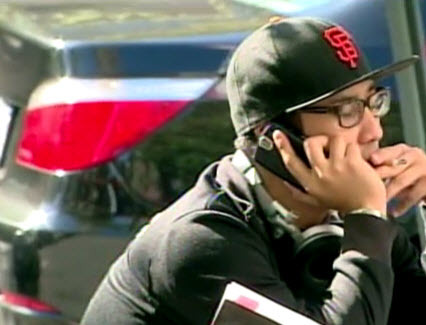 The ministry issued guidelines for mobile handset owners. It says customers shoul follow basic health rules such as holding the cell phone away from body to the extent possible and using a headset to keep the handset away from your head. The government said it will set up a test laboratory in the telecom engineering centre (TEC) by this year-end for testing of SAR value of mobile handsets. The Comptroller and Auditor General in a report tabled in parliament Thursday had slammed the Bureau of Indian Standards (BIS) for delay in finalising safety standards for cell phones. Taking a major step in the favour of public health, the government has directed the telecom players to follow the new guidelines of radiation, which has come into effect from September 01, 2012 (Saturday). According to new guidelines, as of now, the EMF (Electromagnetic Frequency) exposure limit (Base Station Emissions) has been lowered to 1/10th of the existing International Commission on Non-Ionizing Radiation Protection (ICNIRP) exposure level. 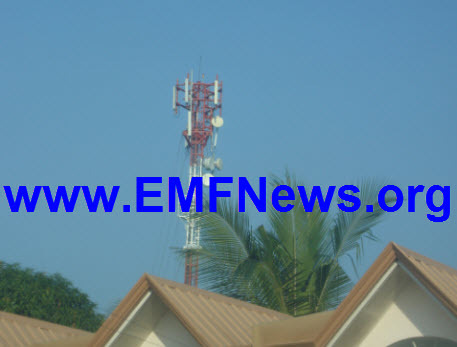 It means mobile towers will emit 1/10 times of EMF from Saturday as against earlier. The higher EMF can cause several deadly diseases like cancer, mutation in human and animals. 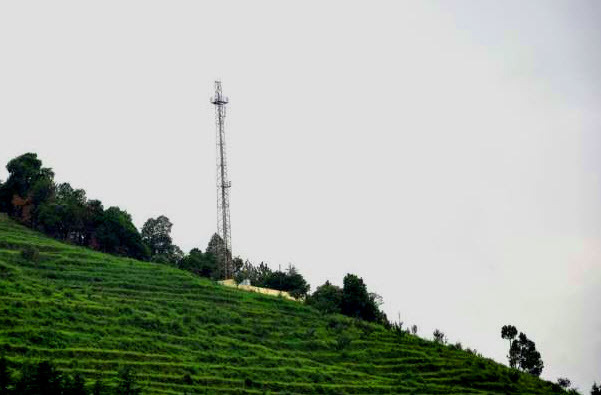 Viewing the growing network of mobile towers, telecom players and mobile users, the Department of Telecom, Minister of Information and Broadcasting has decided to revise the radiation guidelines. Besides, mobile towers, now even handsets with higher energy absorption rate can continue to be in use until August 31 of next year. Government has ordered to mobile manufacturing companies to follow the new standard level of Specific Absorption Rate (SAR) which has been set at 1.6 watt per kg. Mobile manufacturers will also have to display the SAR value on the handset and inform the consumer while selling,’ ordered DoT. With this new stringent EMF Radiation Standard, India has come up into an elite group that has less EMF Radiation Standard. DoT has also stated that in case of violation of this norm, a penalty of 5 lakh will be levied per BTS per service provider. Telecom Enforcement Research & Monitoring cells will be responsible for conducting audit on the self-certification furnished by the service providers. EMF (Electromagnetic Frequency) exposure limit (Base Station Emissions) has been lowered to 1/10th of the existing ICNIRP exposure level, effective 1st Sept. 2012. Telecom Enforcement Resource and Monitoring (TERM) Cells have been entrusted with the job of conducting audit on the self certification furnished by the Service Providers. TERM Cell will carry out test audit of 10% of the BTS site on random basis and on all cases where there is a public complaint. 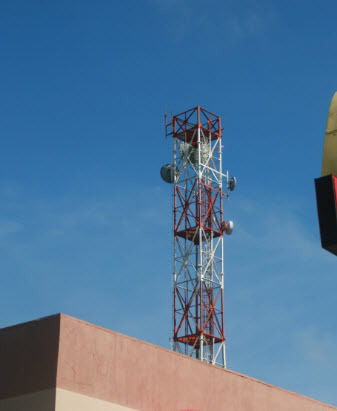 Telecom Engineering Centre (TEC) has revised the Test Procedure for measurement of EMF for verification of EMF compliance for BTS towers in accordance with new standards. For non-compliance of EMF standards, a penalty of Rs. 5 lakhs is liable to be levied per BTS per Service Provider. The BTS site details i.e. self-certification, registration with TERM Cell, test results etc. is proposed to be provided on DoT web site for General Public information. All the new design of mobile handsets shall comply with the Specific Absorption Rate (SAR) values of 1.6 W/kg averaged over 1 gram of human tissue w.e.f. 1st Sept. 2012. The mobile handsets with existing designs which are compliant with 2.0 W/kg averaged over 10 gram of human tissue, will continue to co-exist up to 31st August 2013. From 1st Sept. 2013, only the mobile handsets with revised SAR value of 1.6 W/kg would be permitted to be manufactured or imported in India. SAR value information display on the mobile handsets like IMEI (International Mobile Equipment Identity) display. The information on SAR values to be made available to the consumer at the point of sale. Mobile handset manufactured and sold in India or imported from other countries shall be checked on random basis for compliance of SAR limit after TEC SAR Laboratory is set up by end of 2012. Test results from international accredited labs will be acceptable in the interim period. 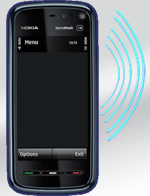 The manufacturers in India will provide self-declaration of SAR value of the handset. Suitable amendments in the Indian Telegraph Rule under Indian Telegraph Act 1985 are being enacted in support of ensuring compliance of new SAR values for handsets. Manufacturer’s mobile handset booklet will contain safety precautions. All cell phone handsets sold in the market in India will comply with relevant standards and shall be available in hand free mode. SAR Test Laboratory is being set up in Telecom Engineering Centre for testing of SAR value of mobile handsets imported/ manufactured in India. New National SAR Standards from Telecom Engineering Centre. National SAR standards from Telecom Engineering Centre are being finalized. DoT is procuring EMF radiation measuring instruments for TERM cell units. 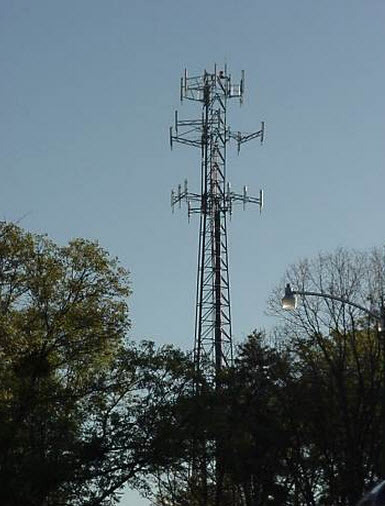 Outsourcing for EMF radiation measurement for BTS towers is also being considered. A scientific study in India-specific context is being undertaken jointly by Dept. of Telecom and Dept. of Science and Technology in collaboration with ICMR, MOEF and Min of Science and Technology to derive norms based on credible scientific evidence taking into account diversity of Indian social context. Department of Telecommunication has released Guidelines covering BTS Towers so that some consistency gets evolved on setting up of BTS towers. Guidelines have been placed on DoT website. Guidelines for consumers on Mobile handset usage have been issued and hosted on DoT Web site (http://www.gov.dot.in) for general public awareness. Some of them are: keep distance – hold the cell phone away from body to the extent possible, use a headset (wired or Bluetooth) to keep the handset away from your head, do not press the phone handset against your head. Radio Frequency (RF) energy is inversely proportional to the square of the distance from the source-being very close increases energy absorption much more, limit the length of mobile calls, use text as compared to voice wherever possible, put the cell phone on speaker mode, when your phone is on, don’t carry it in chest/breast or pants pocket, when a mobile phone is on, it automatically transmits at high power every one or two minutes to check (poll) the network. . A booklet addressing possible queries from mobile telecom users on radiation-related issues along with other informative inputs is also being placed on DoT website. TEC has revised the Test Procedure for measurement of EMF elaborating the methodology, calculations, measurements and report formats for verification of EMF compliance for BTS towers in accordance with new standards effective from 1st Sept. 2012. This will be applicable for all Mobile Service Providers and Term Cell Units to verify compliance. Department of Telecommunications, Ministry of Communications and IT has ensured that the new EMF Radiation standards get implemented through close co-ordination with the industry. The guidelines underline the Government’s efforts at providing the best possible Telecom services across the country without compromising on public safety and human health.